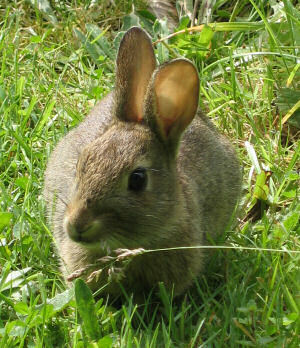 OK then, have a kitten rabbit picture. With everyone posting kitten pictures I thought I do something different and post a picture of a rabbit. A real Isle of Colonsay rabbit, living fearlessly in the Colonsay House Gardens. Cute, isn't it? Picture courtesy of my sister. Hm, I think that's enough kittens. And rabbits.